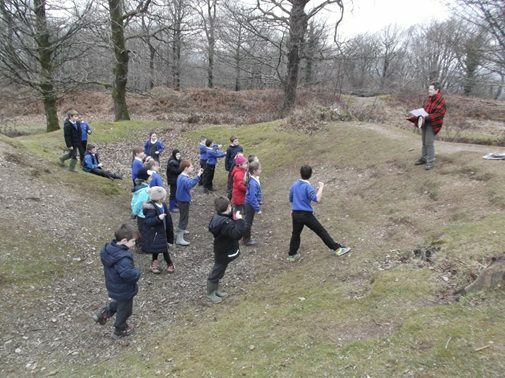 On Wednesday 11th February, Fernworthy Class enjoyed a trip to Hembury Hillfort. This was part of our topic on the Romans and Celts. We had been learning about a fierce warrior queen called Boudicca who took on the might of the Roman Empire! The day before our visit, we were lucky enough to make and bake authentic Roman bread which we then took with us to the hillfort to enjoy as a snack with a pot of honey. 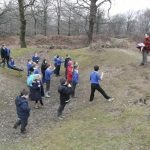 Alison, the education officer from the Abbey, met us at the fort and led us in a Boudicca Rebellion Act using a poem that she had written herself. 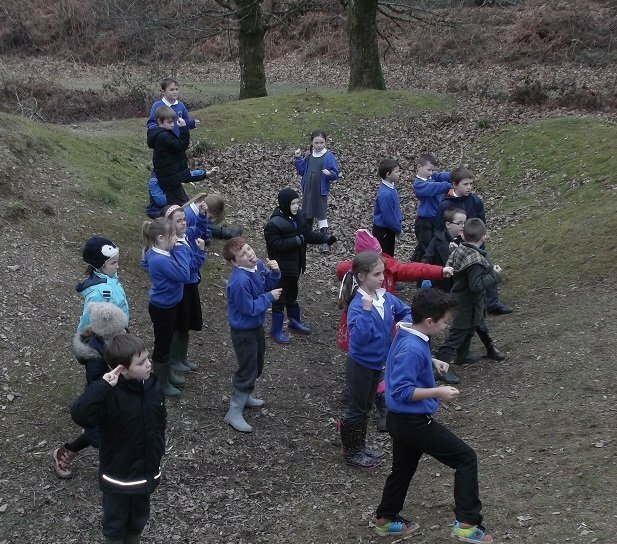 We enjoyed a long walk around the hill fort defences and playing in the iron age village. Finally, we were thoroughly spoilt when we were each given a cup of warming hot chocolate and authentic Roman honey cakes, baked by Mrs McCullough. 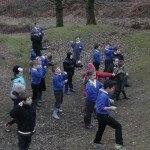 We had lots of fun and we hope next term we look forward to finding out even more about the Romans.